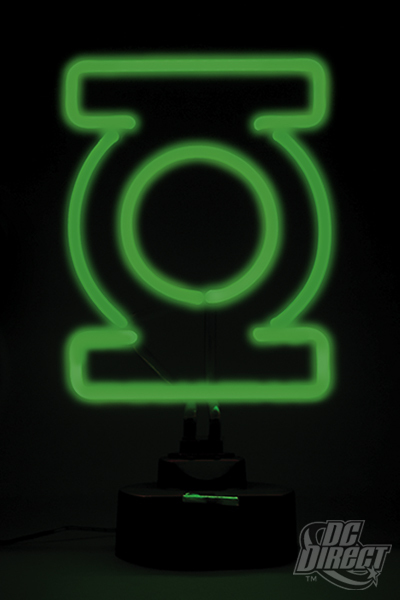 Decorate your home or store with this exciting, affordable neon sign featuring Green Lantern’s classic logo! The adjustable base unit can sit on a tabletop or be mounted to a wall. Now that is neat. If I was a GL fan with extra cash I'd get that. I'd like to get a neon Decepticon Symbol. Well, I've got the GL fan part down, the extra cash might be a factor for me. Also, I'm not sure how much my wife would like it. That's true. 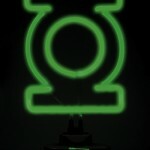 A flashing neon GL sign in the living room, or any part of the house, may not be what any wife would want. It would look pretty awesome on the bar though.